One of the few apps so ubiquitous that its name has become a verb, Skype has been around since 2003, dominating the video call and messaging space globally (being available in 108 languages) for the majority of that time. Originally developed in Estonia by Niklas Zennström and Janus Friis, Skype was purchased by eBay in 2005, and then again by Microsoft in 2011 for a whooping $8.5 billion. Although Skype accumulated more than 600 million users by the end of 2010, it started slowly losing its appeal to a number of alternative messengers, such as WhatsApp, Facebook, Telegram, and Signal, all of which were mobile-centric right from the start and offered texting as well as video and audio calls. However, in 2017, Microsoft released a completely new version of Skype, reworked from the ground up to be run on Microsoft Azure infrastructure and redesigned with the latest trends of messaging in mind. In August 2018, Skype also added full end-to-end encryption to better meet privacy concerns of its users worldwide. To begin, since Microsoft acquired Skype, they’ve created a few different Skype applications for Mac that cover interviews, video streams, classrooms, and most importantly Skype for Business. While the regular version of Skype for Mac supports up to 50 participants at once, the business one can handle up to 250 and gives you additional features, such as joining through a URL, muting control, presenter selector, head-tracking video, and PowerPoint integration. You can download Skype for Business Mac version and the basic Skype for Mac on the official Microsoft website. One caveat though is that you have to have an active MS Office 365 subscription to run the business edition, whereas the default one is free. Using Skype is as easy as any other messenger. All contact information is based around your username, so if you give it to someone they will be able to find you and add you to the list via search. Below the search field, you have Chats, Calls, and Contacts tabs. Going into any of them would switch the plus button below for creating a new chat, call, or adding a contact respectively. Besides the basic functionality, all Skype chats support file attachments, money transfers, location sharing, call scheduling, and poll creation. There are also dozens of third-party bots and plugins that expand Skype capabilities even further. So now that you know how to use Skype on Mac, let’s walk through a few widespread problems you might come across. By far the most common problem you’ll have during conference (or personal) calls is Skype camera not working. There are generally a few ways to solve that. The easiest thing to do is just to use the camera icon to turn your camera off and back on again. If that doesn’t help, you can try dropping out of the call altogether and even restarting your Skype. If the camera isn’t working, you should take your Mac to the Apple store. If it is, then the problem is with Skype. When none of that works, you just need to reinstall Skype. 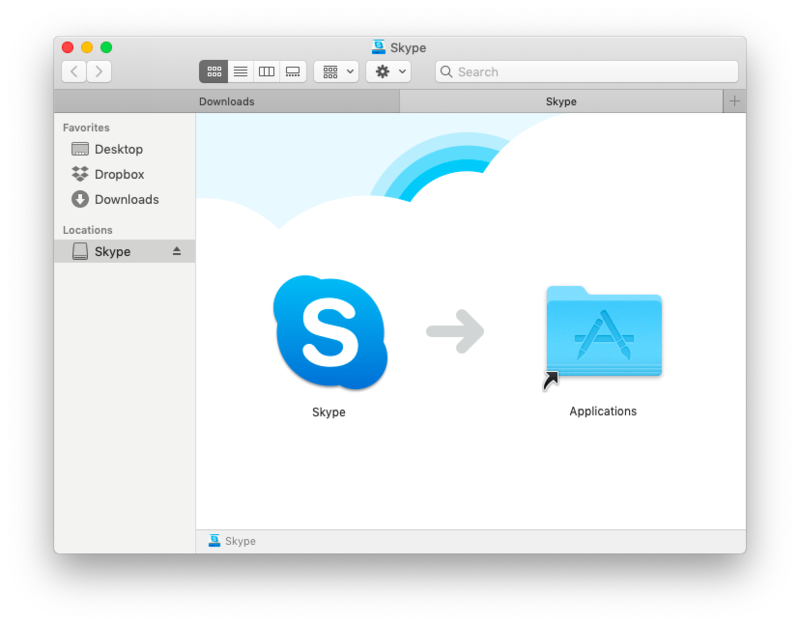 If you’re not sure how to uninstall Skype on Mac, use CleanMyMac X that you’ve tried when resetting the app to factory preferences. Simply removing Skype from Applications doesn’t delete all the supplementary files, whereas CleanMyMac X completely wipes out the app from your system. To delete Skype with CleanMyMac X, go to the Uninstaller tab, select Skype, and click on Uninstall. If the input levels are fine, repeat the steps above to reset factory settings and reinstall Skype to fix the problem. If not, a trip to the Apple store might be necessary. Nowadays it’s likely that Skype isn’t your only messaging app. You might need to use it at work or for calling relatives’ landlines overseas, but that means you probably chat with friends through something else. The point is that most of us have three, five, 10, or even more messengers active on a daily basis, and that message overload can get pretty tiring and actually distract us from doing something of value. 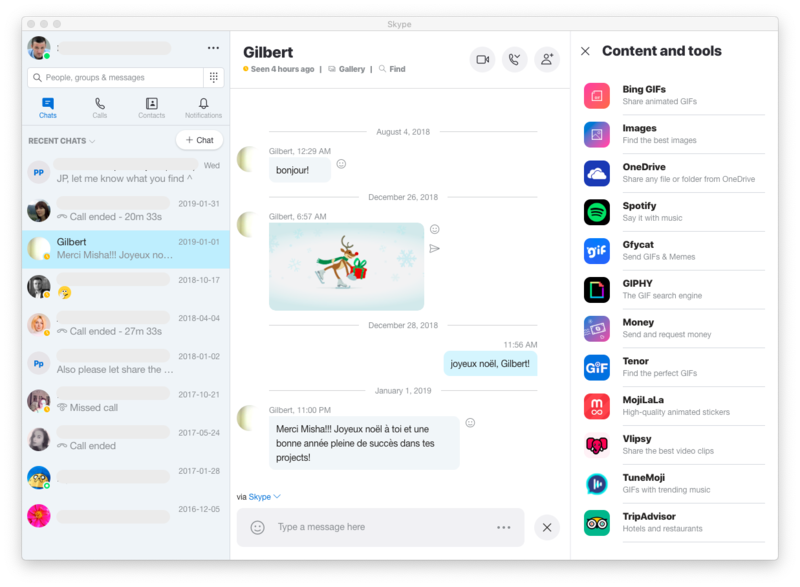 One of the solutions here might be to ditch your Skype app for Mac altogether and get an instant message aggregator such as IM+. 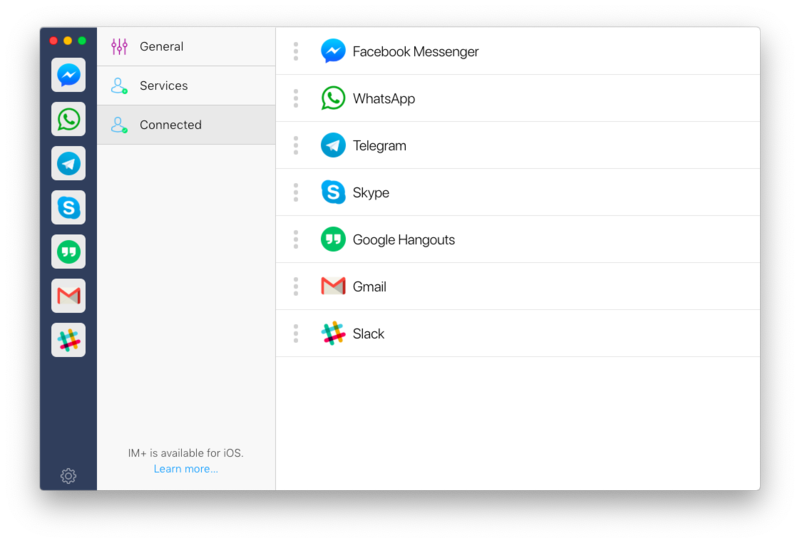 IM+ allows you to combine dozens of popular messaging apps together, from Skype to Slack to Instagram, and manage them all through the same interface. With IM+ you can categorize every messaging service as either Home or Work and set common rules for notifications and online status for both. Sometimes, even when you’ve consolidated all your messaging into a single app, distractions get the best of you and you end up spending hours chatting instead of concentrating on your work. Even when you don’t catch yourself being distracted, those one-off replies here and there tend to add up to more than you’d think. To see how much time exactly you spend on social media, you need an unobtrusive time tracker like Timing. 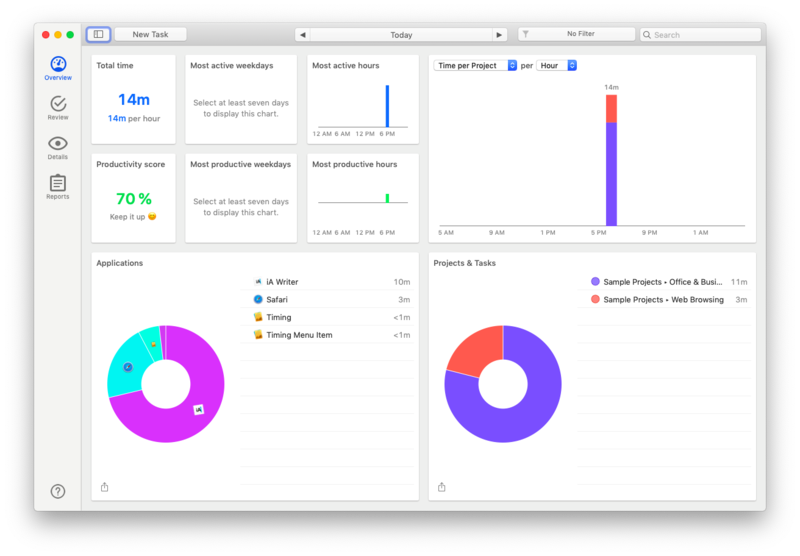 Timing observes how you spend time on your Mac in the background and then shows you detailed reports for every app or website launched and every project worked on. You can even use Timing to invoice your clients or log hours at work. But mostly, you’ll have the most accurate representation of where your time goes during the day, and after you gain knowledge you can come up with the action plan. Now that you know how to install and how to how to uninstall Skype on Mac, you can use it for work and chats with friends effortlessly. And if there’s ever a problem, just factory reset the app with CleanMyMac X. Additionally, unite all your messengers in one with IM+ and keep an eye on your productivity through Timing. Best of all, CleanMyMac X, IM+, and Timing are available for a free trial through Setapp, a platform of more than 130 best-in-class Mac apps that could take on any problem and make your days as productive as they can be. Is it time for a conference call?